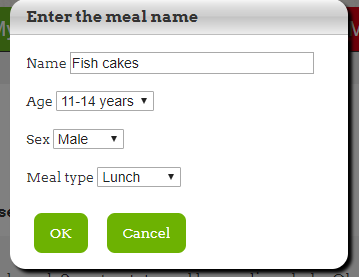 Step by step on how to use Nutrition Program to show nutritional value of recipes for different age groups. I’ve chosen Fish cakes made with salmon and potato and served with tartar sauce. First create the recipe in My Recipes. 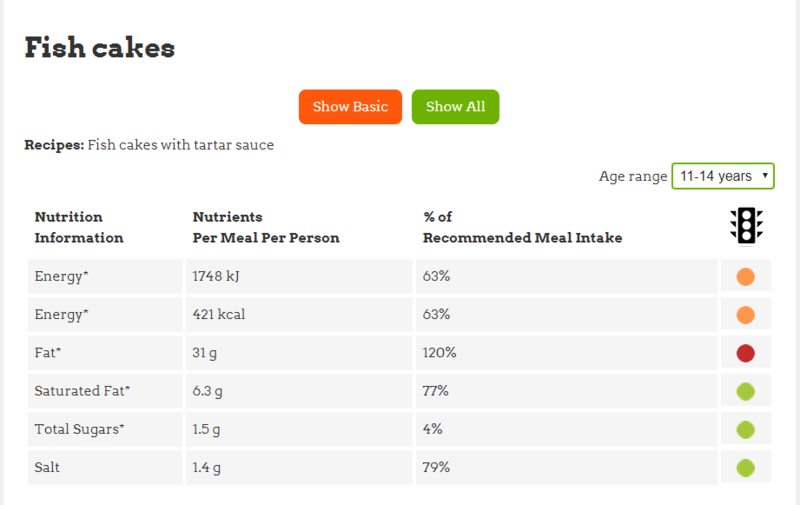 The Nutrition Program shows the nutrition for 100g and a portion. You can get this image by clicking Print. 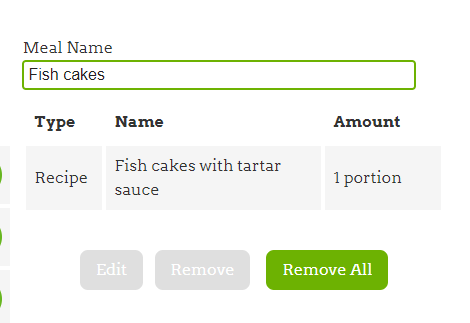 You may want the cost of the recipe – just click Costs and do a screen grab. 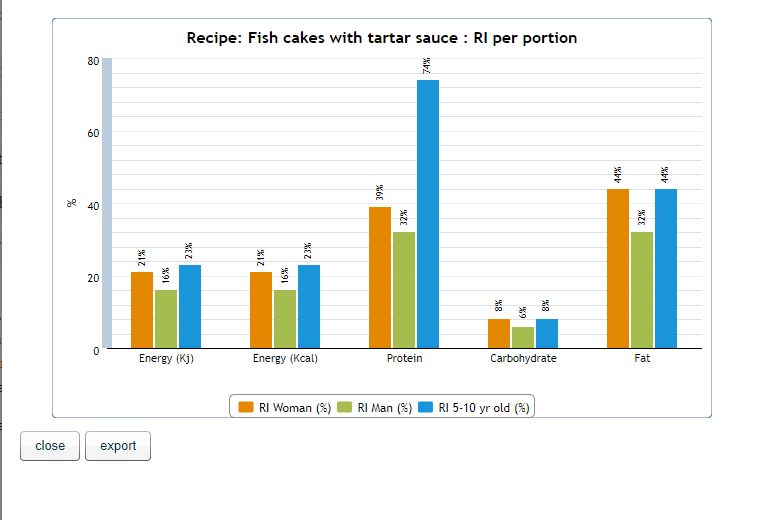 If you want to look at RI Reference Intake, go to Nutrition, scroll to bottom of screen and the bar chart pops up for RI woman, RI man and RI 5-10 year old. If you are making the dish for a child, teenager or adult, and you need the nutrition for that age group, go to My Meals. 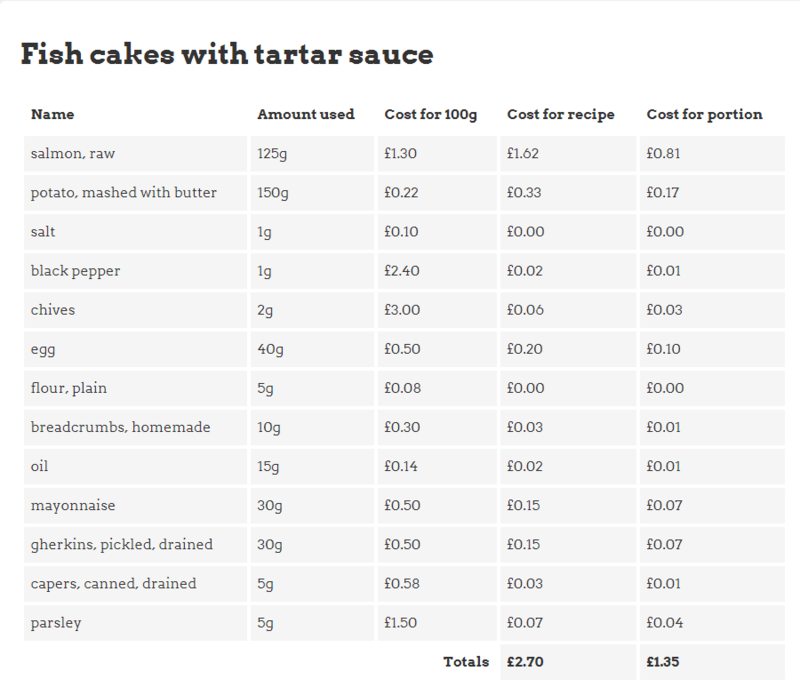 In Find Recipe, add Fish cakes with tartar sauce which you saved in My Recipes. 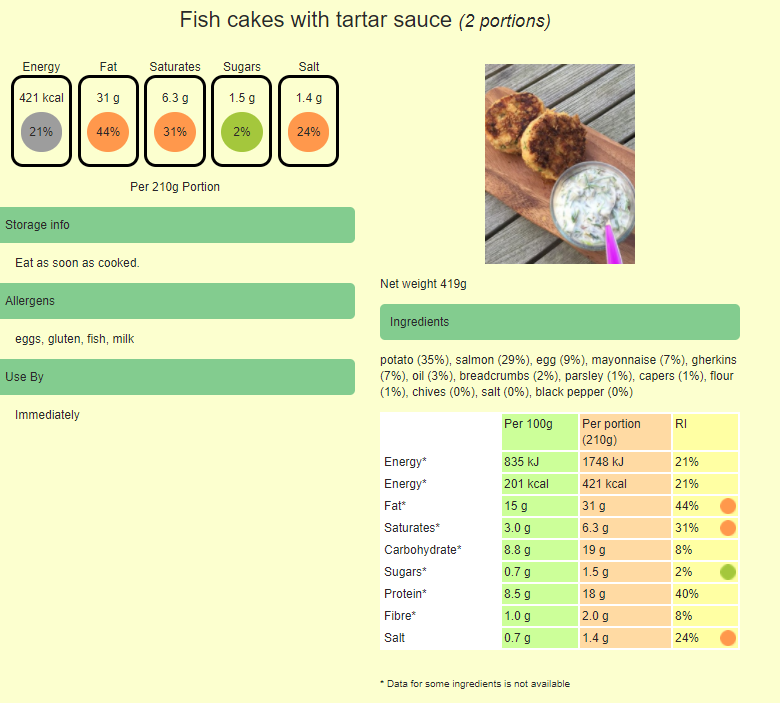 Click Nutrition and you will see how the Fish cakes meet the needs of a meal. In this cake they provide 63% of meal intake which is good as you would serve other vegetables and a dessert or starter. You can see from the traffic lights that this dish is a bit high in fat, so you can change the recipe.